The release of THE BLACK ELFSTONE (UK | ANZ) marks an important moment in the fantasy calendar, and for millions of fans around the world, it’s a bittersweet occasion. 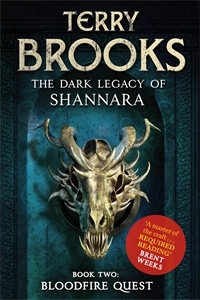 It was in 1977 that Terry Brooks released what was to become one of modern fantasy’s most popular novels ever, The Sword of Shannara. It kick-started a fantasy phenomenon which has lasted for 40 years and over 28 novels, and today Terry’s Shannara books are still as popular as ever. He is lauded as one of the true masters of modern fantasy, with bestselling authors such as Brent Weeks, Patrick Rothfuss, Philip Pullman, Christopher Paolini and Peter V. Brett all citing him as a powerful influence on their writing and the genre as a whole. 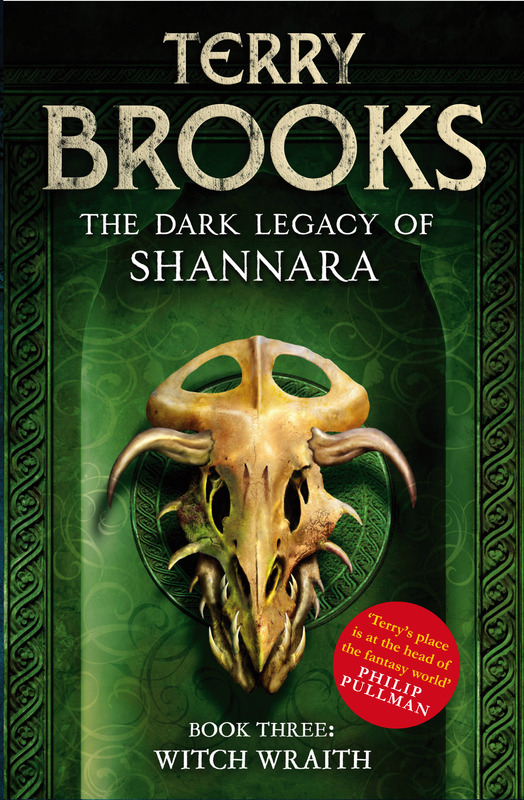 And now with THE BLACK ELFSTONE – the first book in the Fall of Shannara series – it is with both excitement and sadness that fans will see Terry start to bring the world to a conclusion. 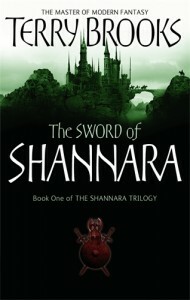 You can read the rest of the interview here, and THE BLACK ELFSTONE (UK | ANZ) is available in all good bookshops now. MTV Acquires Shannara TV Series! 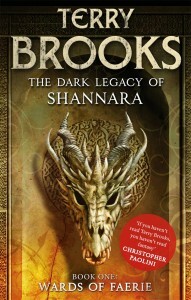 The exciting news broke over the weekend that MTV have ordered 10 episodes of a TV adaptation of Terry Brooks’ Shannara novels. After years of fans worldwide calling for this epic fantasy series to make it to the small screen, it’s fantastic to hear that it’s finally been green-lighted. The first season will be based on The Elfstones of Shannara (UK | ANZ), which when first released spent 16 weeks on the New York Times bestseller list. Directing will be Jonathan Liebesman (Teenage Mutant Ninja Turtles), and the script is written by Smallville creators Al Gough and Miles Millar. Terry Brooks himself will be taking an executive producer role, along with Jon Favreau and Dan Farah. The casting is yet to begin – the question is: who would you all like to see starring? 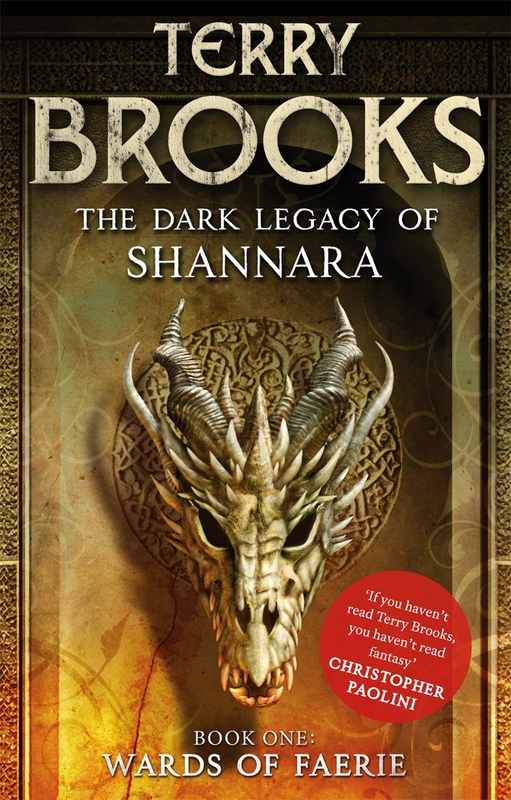 To catch up on the latest in the Shannara world, check out Terry Brooks’ recently released The High Druid’s Blade (UK | ANZ) – a standalone novel which is a great entry-point into the Shannara world. 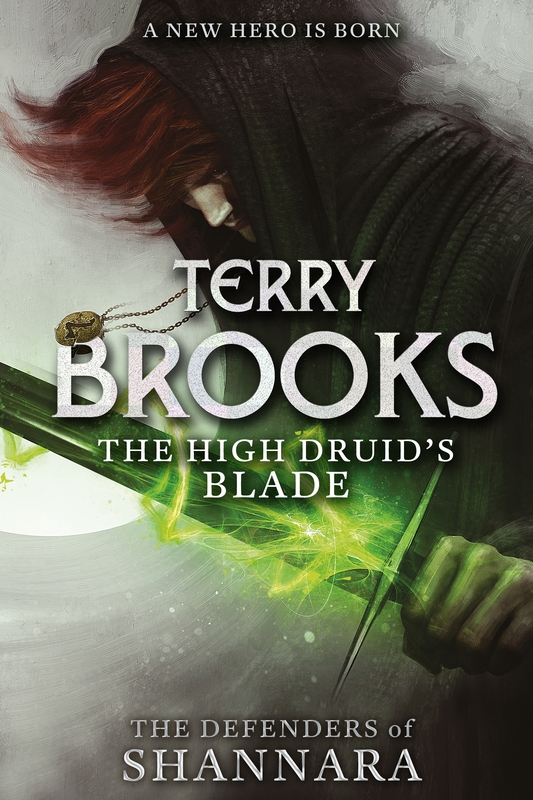 This week sees the release of THE HIGH DRUID’S BLADE (UK | ANZ), a brand new stand-alone novel by Terry Brooks, set in the Legendary world of Shannara. 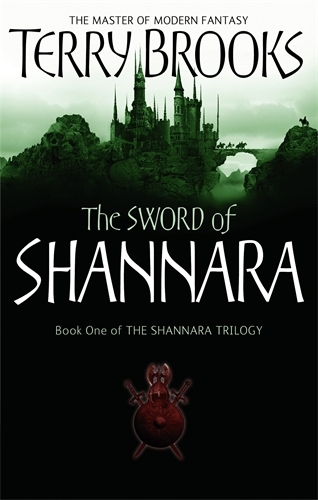 This exciting epic fantasy adventure tells the tale of Paxon Leah, a descendant of the royals and warriors who once waged war with magical weapons. But to Paxon, those days of legend are long gone now, and he leads a quiet life – until extraordinary circumstances will rewrite his destiny . . .
To celebrate the release, we’ve designed the beautiful Shannara family tree below (click to enlarge it!) showing the Ohmsford and Leah family lineage. It really demonstrates the richness of the Shannara world. But the great thing about the new book THE HIGH DRUID’S BLADE is that it’s a stand-alone novel, so a great place to discover this world for the first time. You can read an extract here. 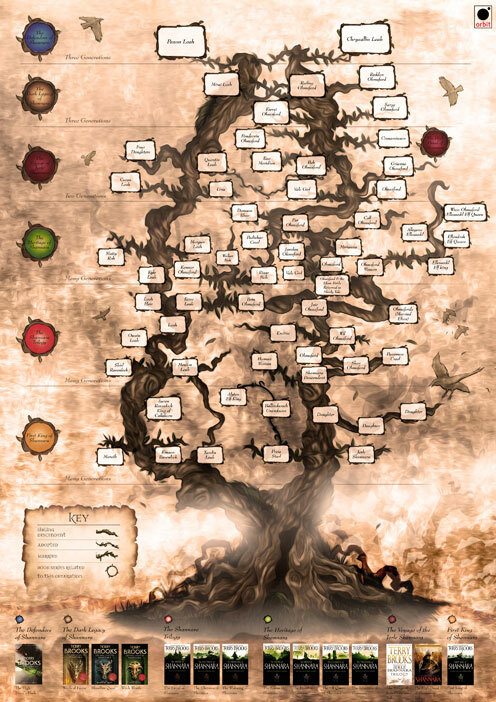 Readers in the UK now have the chance to win a beautiful A2 poster of this family tree.Check out our competition on the Orbit UK Facebook Page. The third book, WITCH WRAITH (UK|ANZ), is released very soon on 16th July. Back in April, Terry did a very rare signing in the UK for the hardback release of BLOODFIRE QUEST. The queues at Forbidden Planet were phenomenal, and the signing went on for hours! See some pics of the event here. ps. Is it just me or is Terry awesome? No – the signs say it’s not just me . . .
Don’t forget that if you live in the UK, there’s just under a week until Terry visits for the first time in over 5 years. There’s a facebook group here for his signing on 3rd April at 6pm at Forbidden Planet London. Mine was back in the mid-1990s. A close friend excitedly showed me a book called THE SWORD OF SHANNARA (UK | ANZ) that his jetsetting pilot father had picked up for him from a bookstore in America. I remember being impressed at its sheer size and being immediately drawn to both the cover (a glowing magic sword, what more could a thirteen-year-old boy want?) and the gorgeous interior illustrations by the brothers Hildebrandt. I forget what gushing eulogy my friend gave about the book, yet it was positive enough for the novel to stick in my mind. Faced with the horrors of a two-week family holiday a short time later, I purchased a copy of THE SWORD OF SHANNARA, thinking it might prove a decent distraction for a fortnight. 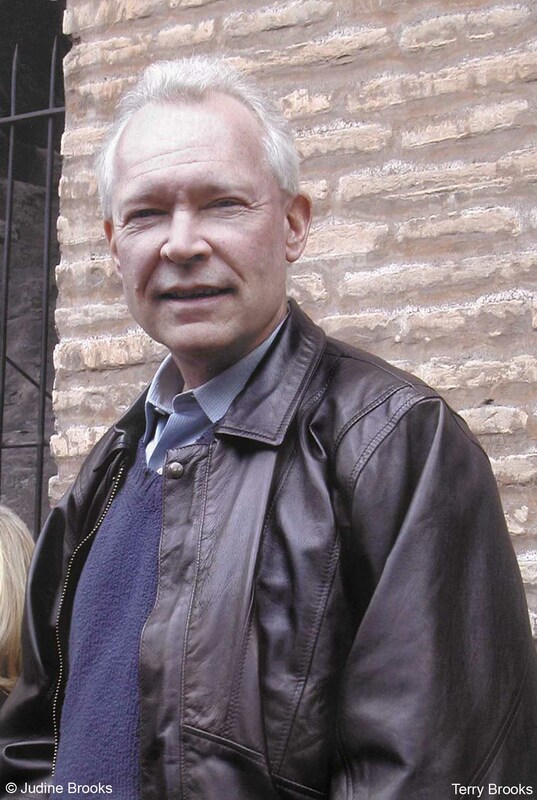 Orbit is so excited to announce that Terry Brooks will be visiting the UK for the first time in over 5 years! He will be in London on holiday but has spared an evening to schedule an event at Forbidden Planet – on Wednesday 3rd April at 6pm. He will be signing copies of the first in his new series, Wards of Faerie (now available in paperback) and his new hardback Bloodfire Quest (out 12th March). Like our Orbit UK Facebook page for full details and updates. 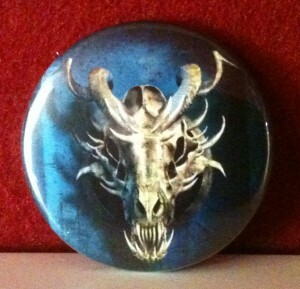 And for all Terry’s UK fans who can’t make it to London, never fear… whether you can attend the signing or not, every person who emails a question for Terry to orbit@littlebrown.co.uk will receive a Bloodfire Quest badge! We will film his answers so everyone gets to ‘meet’ him. Plus the top three questions will win a signed and dedicated book. (UK entrants only). 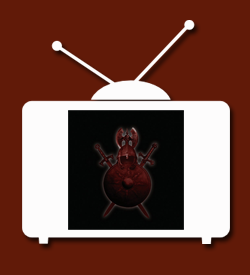 Join us to celebrate a great year for a legend of the fantasy genre! 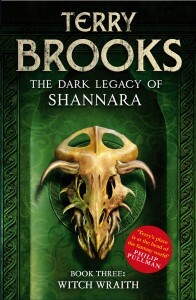 2013 is an especially exciting year for Terry as his full Dark Legacy of Shannara series will available, with the last novel in the trilogy, Witch Wraith, publishing this July.